For years now, Japanese capsule toy makers have churned out miniature (non-working, of course!) game consoles and miniature portables. 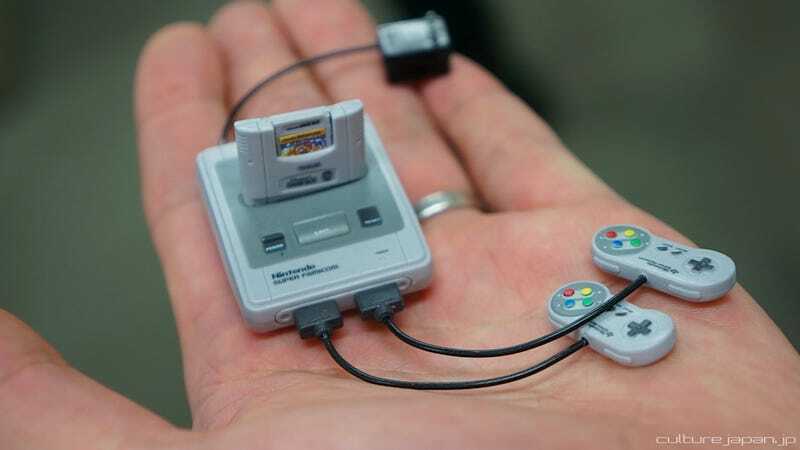 This photo from website DannyChoo.com shows that even after all these years, holding a little Super Nintendo will never get old.